Autograph letter, signed, from Fitzroy Maclean to Charles and Gladys Maclean. 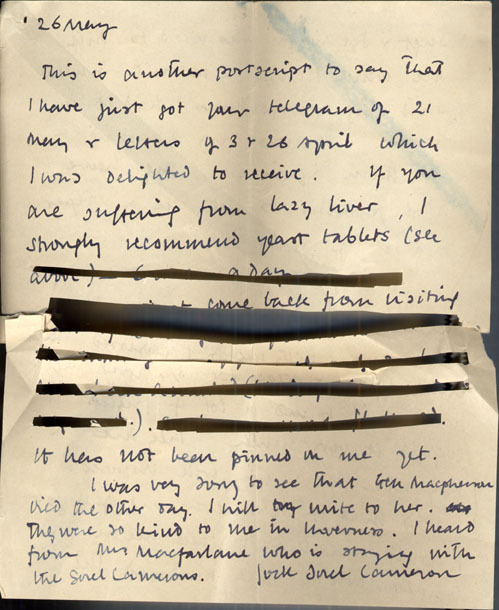 10 May 1944 (with postscript May 26). From the Fitzroy Maclean Collection. 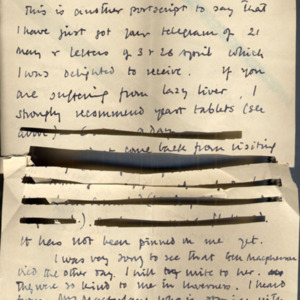 “Maclean letter,” University of Virginia Library Online Exhibits, accessed April 20, 2019, https://explore.lib.virginia.edu/items/show/619.